There will always be more good ideas than there is capacity to execute. Ask the question: What do you need to focus on above all else? The moon shot is a great example. 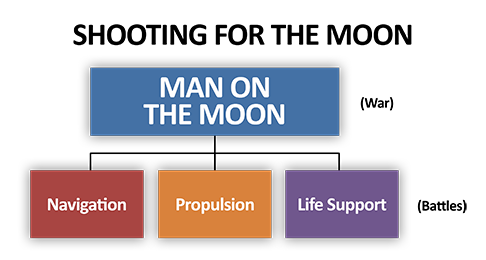 NASA focused on three major priorities (or battles) in its quest to land a man on the moon (the war). The lesson? Fight the right battles to win the war.